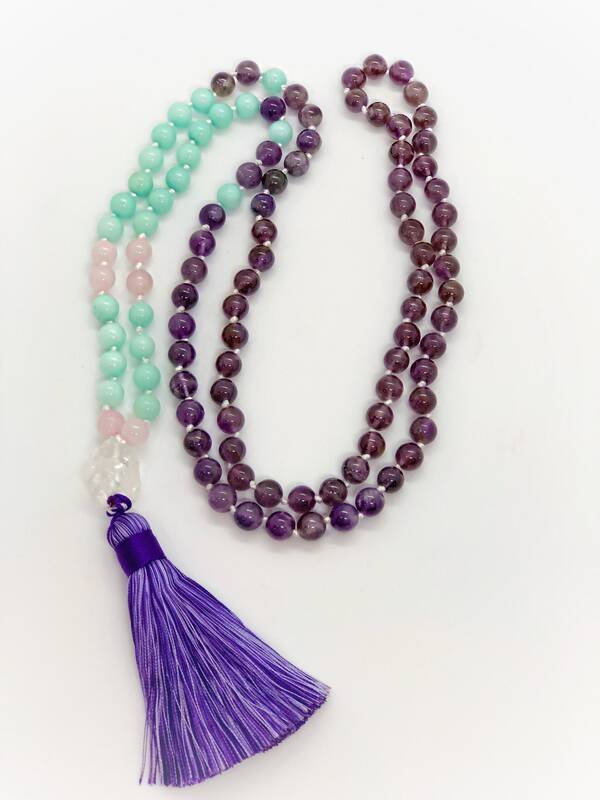 Chakra crystal necklace made with genuine crystal beads. Amethyst, rose quartz, aquamarine, and a clear quartz crystal chunk. This necklace is a total of 43” in length and hangs to the lower torso. 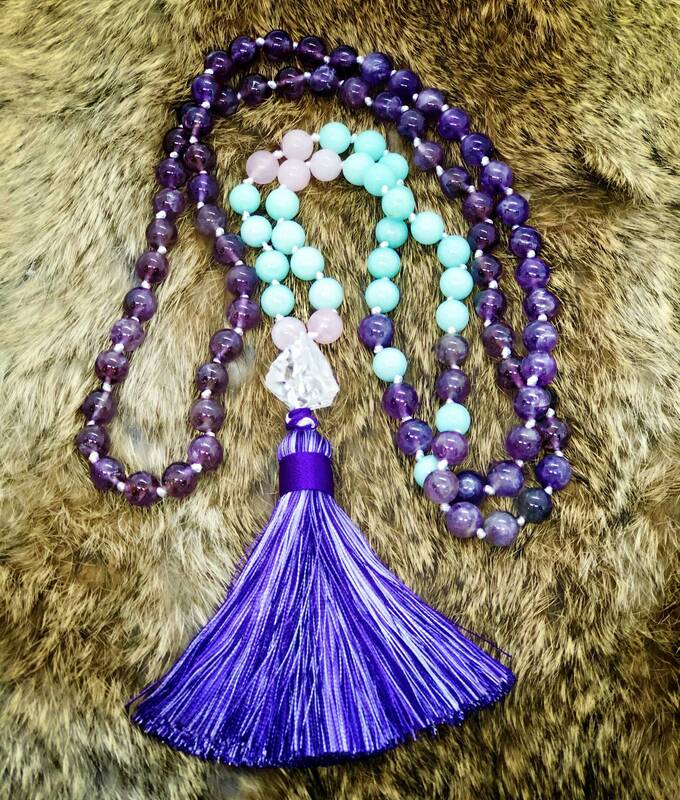 Made with 108 8mm crystal beads and a satin silk tassel. 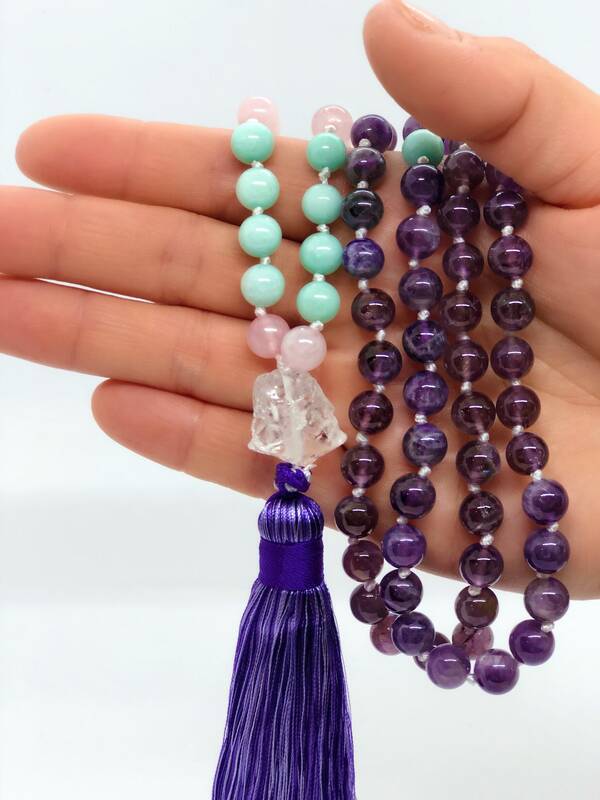 Between each bead the string is knitted three times for extra durability and also allows the necklace to be silent during meditation. Sage blessed and full moon charged.